Email marketing is one of the best ways to reach and engage with your audience. 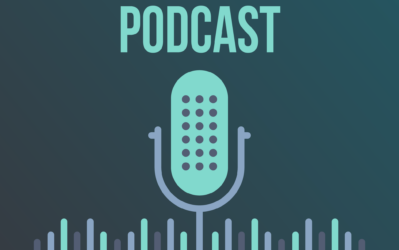 You can build relationships with your subscribers by sending highly relevant emails and launching useful drip campaigns. If your messages resonate with your email list, you can bring them down your sales funnel and turn them into customers. However, not all email marketing tools provide the solution to problems with your audience. There are lots of variables at play here so you can't make a rash decision in choosing the best platform to send emails. 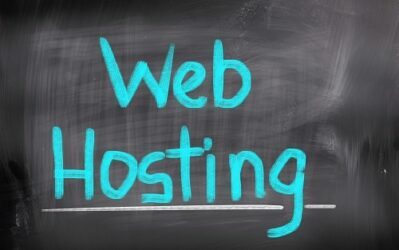 In fact, there are e-mail marketing tools out there whose only similar is they are web-based email marketing platforms. Other than that, their features, functions, and target audience are different. ConvertKit and Constant Contact are two of the popular tools that help you develop email marketing campaigns for your audience. Both are also highly rated tools which lots of users and brand advocates. At a closer look, however, ConvertKit and Constant Contact are almost like night and day. They offer features and services unique from each other. Therefore, if you're torn between the two, then you've come to the right play. In this ConvertKit vs. Constant Contact post, you will find out the differences between both tools, their pros and cons, and who their target audiences are to help you make an informed decision on which between the two to choose. The reason for the different email marketing tools are the different needs of each online business. There are those that need the full suite of marketing features to help grow their business faster and better. Others need a tool that offers the most straightforward features but is the simplest to use. In some ways, ConvertKit and Constant Contact cater to businesses from both sides of the spectrum. ConvertKit appeal to bloggers and content creator whose aim for using an email tool is to creating engaging powerful campaigns in the simplest way possible. For businesses looking for more juice from their marketing tool, then Constant Contact is right up your alley. Most email marketing companies focus on adding more features to their software. ConvertKit goes against the grain by offering straightforward features to help you grow your list and engage with them. 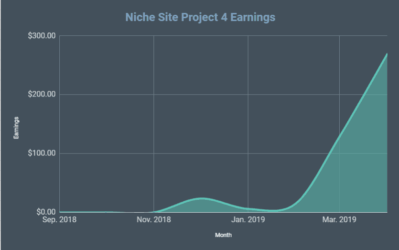 It's considered by many as one of the best email tools to use that Spencer highly recommends it as one of the many tools to building your niche site on. Founded by Nathan Barry in 2015, ConvertKit is for creators who want a simple enough platform where they can connect with their audience via email and make money off their creations. True to its mission, ConvertKit makes it easy for people to collect email and send campaigns to them. It compares favorably with MailChimp in terms of ease of use. Personally, I think ConvertKit is simpler than MailChimp and is arguably the most intuitive email service in the market. As mentioned, the success of ConvertKit can be attributed to its dedication in providing quality services. If you have tried out the tool, you will notice the limited features available. While some would perceive this as weakness, they keep their e-marketing solutions lean. There are no unnecessary features in the tool that users won't have use for. Every function serves the goal of helping you build a list and engage with them. Beautiful and compelling opt-in forms are necessary if you want to grow your email list. However, some forms available on email platforms are lackluster. It doesn't give you different ways on how to make the forms appear on your site. Because of this, you need a third-party tool that let your create beautiful forms to show on your site and connect them to your chosen email tool. With ConvertKit, you don't have to seek for a third-party opt-in form builder. When creating a form on the platform, you can choose between an inline form you can embed on the content or any part of your site or a modal form that appear on your screen. Regarding the latter, you can choose how to show the form (exit intent, scroll percentage, or timing). The best feature of ConvertKit's email opt-in forms is the incentive email or content upgrade. Its purpose its to increase the conversion rate of your form by giving away something for free in exchange to their email. When creating the form, upload a file that people will receive in their email after signing up to your form. Make sure that the incentive email applies to the content where you plan on featuring the form so you can generate more subscribers from your sign-up form. Also, the copy should compel visitors and encourage them to subscribe. Finally, ConvertKit has a WordPress plugin so you use the shortcuts of the forms and place them anywhere on your site. With list-based email platforms, it is difficult to organize the people in the list. For example, if you're an Amazon affiliate expert and a business coach, you can't send both messages to the same list. Both topics have little to do with each other and sending emails about both may confuse people in your list. Therefore, they may remove themselves from your list because they are literally receiving mixed messages from you. You can prevent this issue with ConvertKit by tagging your subscribers. On your email, you can ask them which topics they want to receive from you via email. To confirm their choice, they must click on a link on the email. You can then set a corresponding tag for each link they click on the email. For instance, you can ask people who joined your list via a sign-up form to click on a link if they want to receive Amazon-related emails from you or click another to receive business coaching emails. Once the tool tags them after clicking, you can then send out emails that appeal to their interests. Doing so lets you increase conversion rate and build better relations with your subscribers. When too many choices bog down your decision-making, analysis paralysis takes place. As mentioned, there are email and marketing automation tools loaded with features and services. While having lots of features in your email platform can be a great thing, it could distract you from your goal and lead you to making poor decisions. Also, because there are too many variables to analyze and factors to oversee before you can conclude, you might not decide at all! This reason shows the value of ConvertKit's simplicity as an email marketing platform. 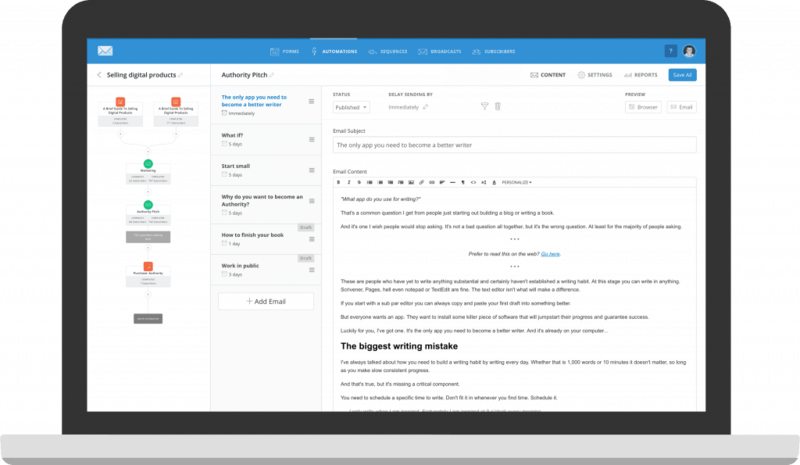 For example, most email tools feature a drag-and-drop builder to help you create compelling emails to your subscribers. ConvertKit doesn't have this perceived luxury. Instead, all emails you create using the platform are text-based. By taking away the option of choosing and building a beautiful-looking email, the tool encourages you to focus on creating a compelling message instead. Also, text-based emails convert much better than HTML emails. By not offering a drag-and-drop builder, ConvertKit does you a favor by enforcing you to send out text-based emails. It doesn't overwhelm you with choices and features you probably won't even use for your business. As a result, ConvertKit allows creators like yourself to focus on bringing your ideas to life instead of choosing which among the hundreds of email or landing page templates is best. The other end of the email marketing spectrum are tools like Constant Contact. Instead of catering to a specific segment or business, the tool tries to cater to all businesses. A quick look on its features and option, it has something for everybody. This is in stark contrast with ConvertKit that offers a narrowed down set of features to a niche audience. While there is nothing wrong with offering lots of features, the real question is the quality of these features. There's a possibility that the wealth of features offered by a tool is a way of overcompensating for the useful of each. Some businesses would fare well when sending out text-based emails. However, they would prefer having the option to send HTML emails where they can include their branding. Regardless of case studies proving how much more effective text-based emails are, HTML emails have more character and offers more visual impact that emails with just text in it. Constant Contact gives you the opportunity to design your emails using its drag-and-drop email builder. You can drag-and-drop elements onto your email and bring your ideas to life. Even if you're not a designer, you'll feel like one using Constant Contact because of how easy it is to create visually compelling emails from scratch. The best thing about Constant Contact's drag-and-drop editor is the ability to create interactive emails using its extensive library of elements. Aside from creating CTA buttons on the email, you can run surveys and poll, ask for donations, create invitations and RSVPs, and more. Whatever you wish to achieve with your email campaign, Constant Contact has the right tools and elements to include in your mail! If you're not comfortable in creating your emails on a blank slate, you can choose from different templates that match the look and feel in your head. After choosing the email template, tweak and make the changes so you can send the emails quickly. One of the pressing issues of email marketing is deliverability. If your emails don't go through your subscriber's inbox, then there's no point in using your current email platform. This phenomena becomes more apparent if you keep sending out HTML emails. Therefore, if you are adamant in using HTML emails to communicate your message to your list, then Constant Contact is the tool for you! According to EmailToolTester, Constant Contact scored high across all deliverability rate factors. Almost all of the emails sent via the tool goes through the inbox of people using different email clients (Gmail, AOL, Yahoo!, etc.). In fact, Constant Contact increased its deliverability rate from 89.74% in August 2017 to 93% in March 2018. Therefore, if you really want to engage and build relationships with your audience, then Constant Contact ensures all your emails will go to the right people all the time. If you complement your digital marketing strategies with offline tactics, then you'll find a lot to love on Constant Contact. As mentioned, you can ask people in your list to sign up or RSVP for your event. If they click on the link of your email, they will go straight to the registration page to fill out the details. Upon signing up, you can monitor their registration activity from the tool's dashboard. Aside from collecting their information, you can organize your contacts even further and segment them according to different variables of your choosing. Also, if you're accepting donations, you can monitor the progress of your campaign and see who donated how much. Let's face it – there is no perfect tool or software. There will always be something to nitpick or criticize despite how good and useful the tool is. ConvertKit and Constant Contact are no exception. While there's a lot of good in both platforms, there are variables that both can improve on so they can further help users conduct email marketing better. To help you make an informed decision, below are the pros and cons of each. The idea is to help you understand better what you're getting from each tool including some of their drawbacks. 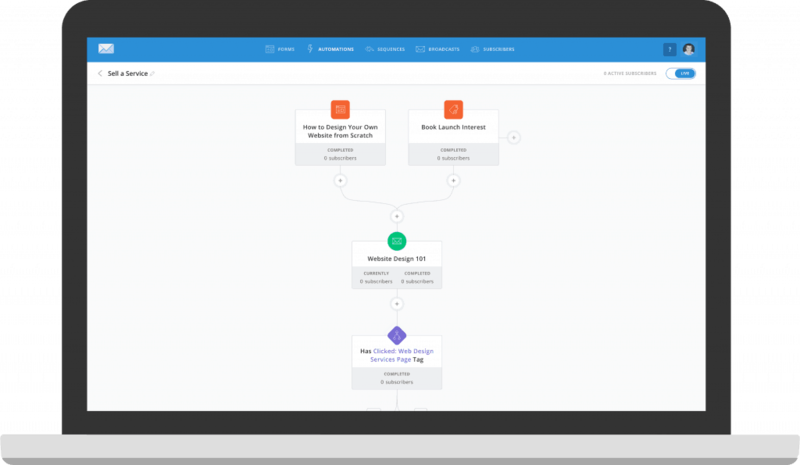 Powerful automation features – Using the “if this, then that” logic, ConvertKit allows you to build sophisticated marketing automation workflows and sales funnels with a few clicks of a button. You can also create multiple and coordinated drip campaigns you can combine into a single workflow to keep your subscribers engaged with your brand. You can also tag subscribers based on their preferences so you can send them highly targeted broadcasts that answer their needs. Keeping it simple – ConvertKit's lean and fat-free email marketing software is perfect for people looking for a quick and easy solution to their email problems. The limited choices allow you to focus on the things that matter in your email marketing efforts. Also, the user-friendly interface of the site makes it easy for your to navigate the options and understand how to use the platform with little to no help. Reliable deliverability – As a text-based email platform, ConvertKit assures you that subscribers will receive the emails you send them. Ultimately, deliverability rests on variables that the tool alone can't control. You need to observe the best practices in sending emails that land on the inbox of your subscribers and not on their spam folder. But the text-based emails the tool serves to your subscribers sets you up for higher conversion rate. Relatively expensive – For $29/month for not over 1,000 subscribers as its lowest plan, ConvertKit drives a hard bargain for users looking for a more affordable email marketing service. The features included in the plan justify the price – you get access to all its features regardless of your chosen plan. But the point of entry may be too high especially for beginners who want a more cost-effective solution. 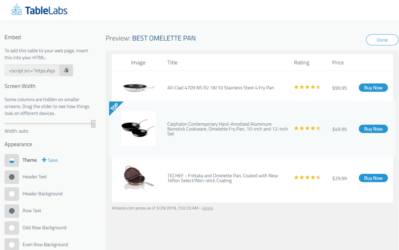 Verynarrowed-down product – The simplicity of the tool lend itself to criticism especially with the relatively high costs. As mentioned, ConvertKit is for bloggers and content creators. For small businesses, startups, and agencies, they will need more than the current suite of features offered by the tool. Therefore, if you're complaining about how limited the tool is, it's because you're not its target market. Reliable support – If you have questions and concerns about the tool, they are just a phone call or an online chat away. If you need a step-by-step guide on how to use its features, its support team is more than happy to coach you until you know how to use them correctly. It also has a comprehensive knowledge base so you can find answers to your questions by browsing through their documentation. ​​​​​​​Fairly extensive integrations – While MailChimp offers over 700 integrations (the most among email marketing tools), Constant Contact is probably the next in line with almost 300 integrations. The tool also tells you how well the third-party apps work together with Constant Contact by referring to user-generated reviews in the tool. Robust reporting – The tool tracks and measure the performance of your email campaigns using different variables and options. 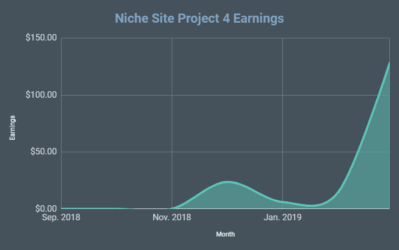 If you want to receive a quick report of your campaign, you can check the Early Results feature to receive the data within 48 hours upon launching the campaign. Aside from the usual open and bounce rates and click-through rates of emails, you can view the heat maps report and see which elements on your site received the most clicks. Outdated features – As extensive as Constant Contact, it doesn't compare favorably against innovative email tools. One of the biggest drawbacks of the tool is the unavailability of automation workflows. You are only limited to autoresponders for automating your marketing process. Therefore, you'll be hard-pressed to building sales funnels using this tool. Also, it has a limited form building feature. It's much more difficult to build your email list unless you have access to third-party tools that let you create opt-in forms. Finally, while there are email templates for you to choose from, the designs aren't current and looks old compared to other templates. Cumbersome account verification process – Arguably the biggest obstacle you have to undergo before using Constant Contact is its account verification. Before you can access the tool with your account, you must chat with one of their representatives for approval. The purpose for the verification is to grant legitimate businesses to the tool. Therefore, aside from the time you'll spend chatting with their support team, there's a chance you won't be approved even if you are a legit business. Email marketing tools can be the same and different at the same time. 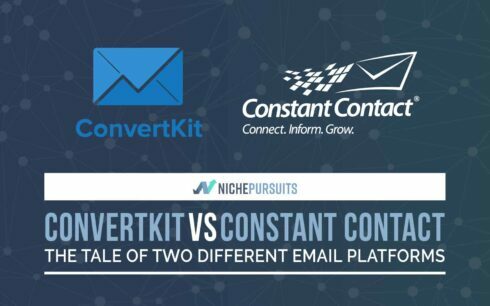 ConvertKit and Constant Contact are two of the best email marketing tools in the industry. But because they cater to specific audiences, they possess features unique from each other. This is a good thing because businesses come in different shapes and sizes. By catering to an industry filled with unique and interesting markets, email marketing becomes more useful to them as people constantly scale and grow their business. We have already distinguished that ConvertKit caters content creators while Constant Contact provides help for small businesses and agencies. This explains why ConvertKit has fewer features compared to Constant Contact. Users of the former tool won't need CRM and lead scoring features. Given their distinction, ConvertKit is not better than Constant Contact and vice versa. In fulfilling the needs of their respective target markets, both tools do a good job in providing them with the best e-marketing solutions. As highly recommended as both tools are, they aren't without their flaws. ConvertKit's pricing may discourage some to jump ship to the platform immediately. Constant Contact may have a friendlier pricing structure for its plans – the first month is even free. However, the premium marketing service features aren't available unless you subscribe to higher plans. Regarding pricing, ConvertKit starts $29/month for 1,000 subscribers or fewer, $49/month for 1,001-3,000 subscribers, and $79/month for 3,001-5,000 subscribers. All features are available on all plans. For Constant Contact, the Email plan starts at $20 and the Email Plus plan starts at $45. The Email plan contains basic features such as contact management, list-building tools, reporting, integration, and others. The Email Plus plan offers autoresponders, event marketing, online donations, and surveys. Taking the good with the not-so-good, you can't go wrong with ConvertKit and Constant Contact if you know what your business needs. Both tools have a trial period after you create an account (ConvertKit has a 14-day free trial while Constant Contact is free for 60 days). Put either tool to the test and see if it fits your business like a glove.